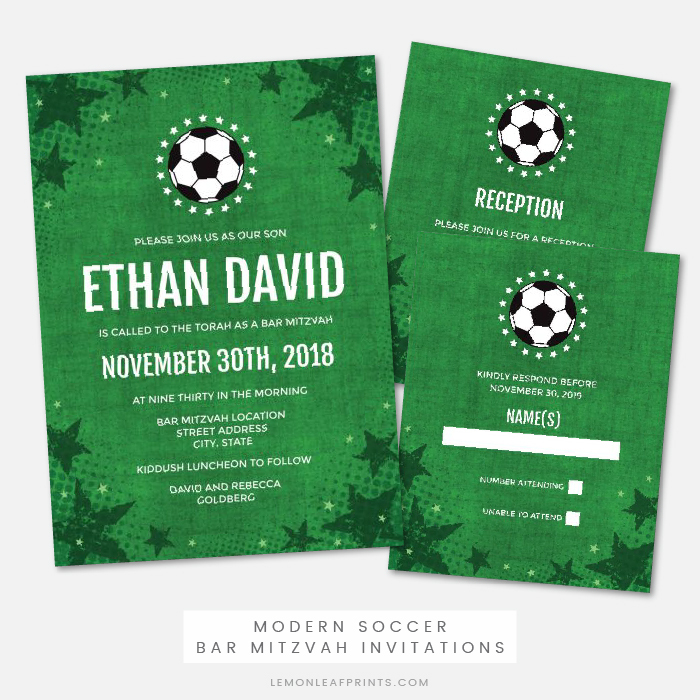 Modern soccer bar mitzvah invitations featuring a black and white soccer ball surrounded by a circle of white stars above the invitation text. At the top and bottom are dark green, distressed, grunge stars. Green background. 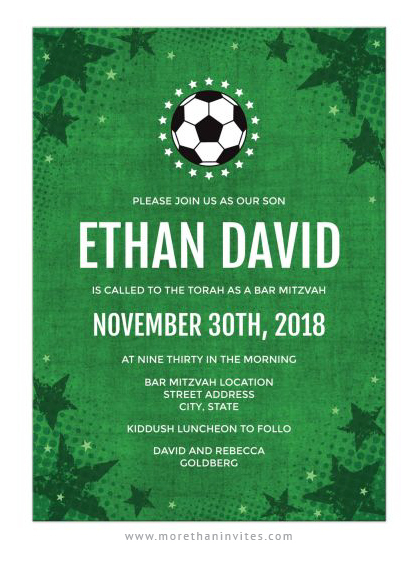 Ideal invitation for a soccer ball or sports themed bar mitzvah. Available from Lemon Leaf prints along with a coordinating RSVP card and reception card.